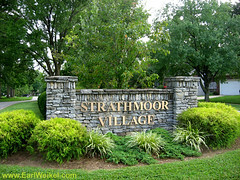 Strathmoor Village and Strathmoor Manor neighborhoods are located off Bardstown Rd in Louisville, KY 40205. Homes for sale in these subdivisions run in price from $155,000 to $400,000, with an average size of houses running 1000 to 3500 sqft. Strathmoor Village and Strathmoor Manor and just minutes away from I-264 Watterson Expressway and considered part of The Highlands. We love to help, so call us at 502-821-3062 with any questions about Strathmoor homes.